1. 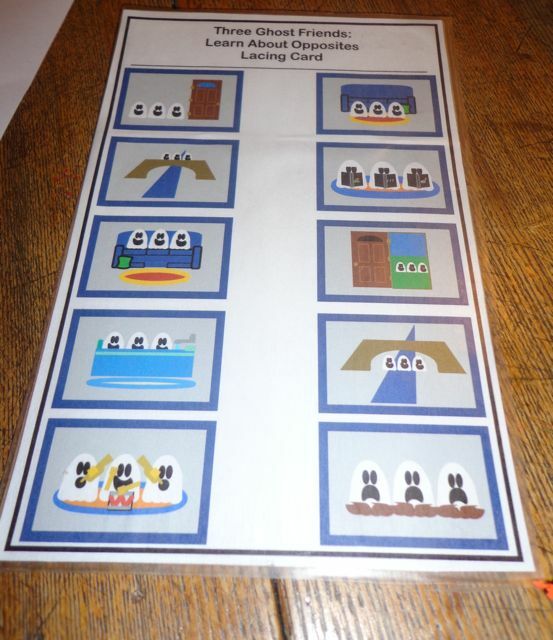 Print lacing card activity sheet. 2. 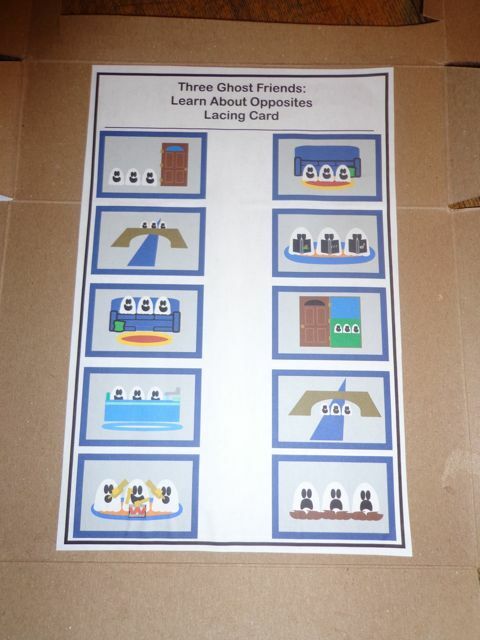 Cut out the lacing card and mount on cardboard. 3. 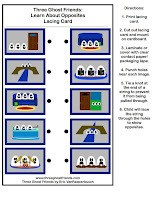 Laminate the lacing card or cover with clear contact paper/packaging tape. 5. Tie a knot at the end of a string to prevent it from being pulled completely through the hole. 6. Child will lace the string through the holes to show the opposites. 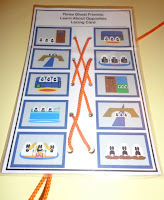 Mount the lacing card activity sheet on cardboard to make it sturdy. 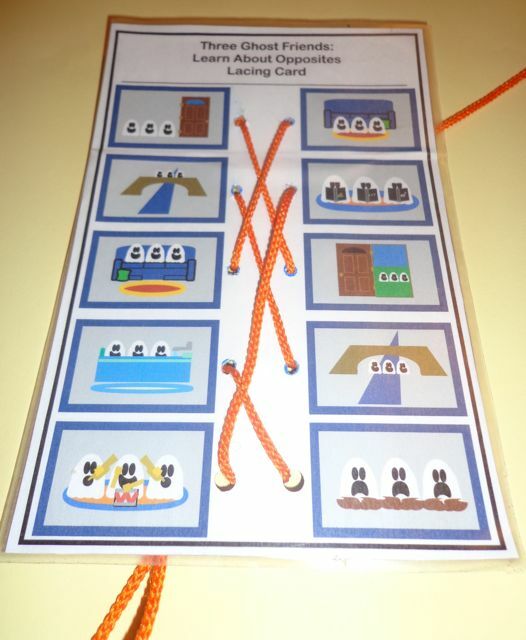 I used clear contact paper to provide more protection to my lacing card. After that I punched the holes. 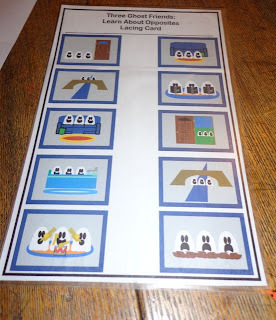 On the final version of the activity sheet, I added black circles to help show where to punch. 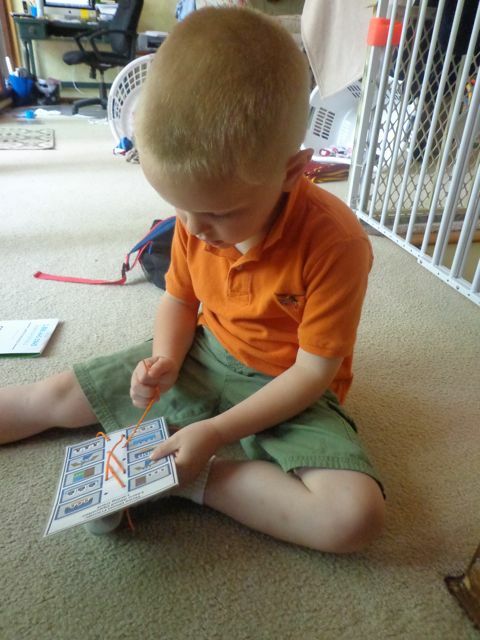 My four year old son said, "I know how to do this Dad. 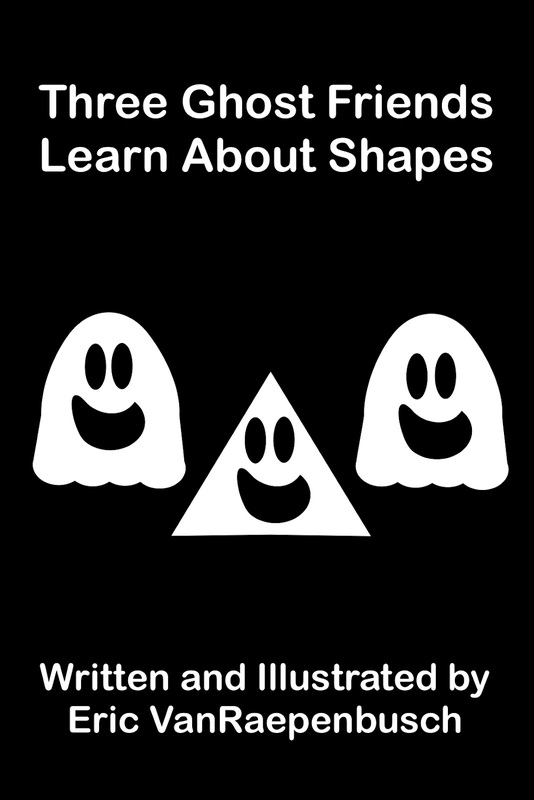 I do this kinda stuff at preschool." 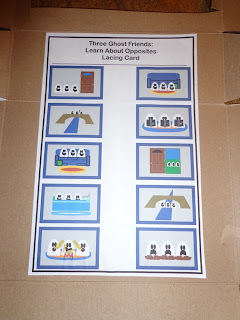 This activity was based upon the e-book Three Ghost Friends: Learn About Opposites! 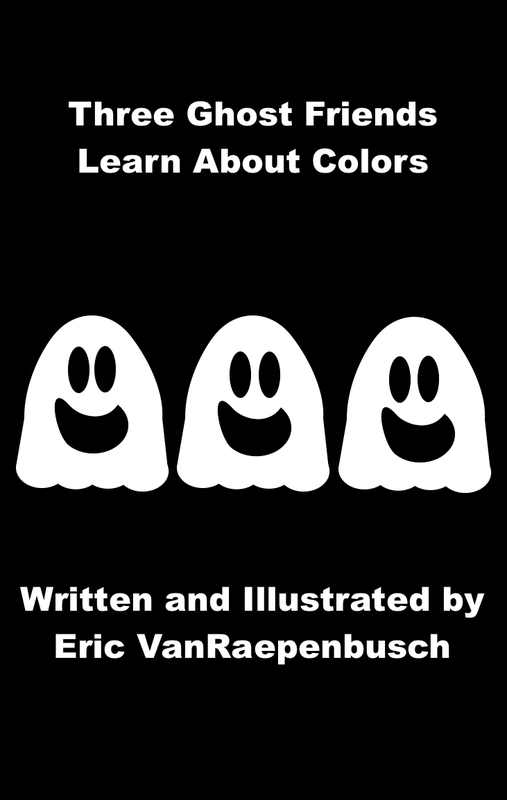 Check out the other Three Ghost Friends e-books!